A musical version of Only Fools And Horses has been created to honour the “delicate legacy” of writer John Sullivan, with songs from the late Chas Hodges. The creator of the long-running sitcom died aged 64 in 2011, before work on a musical retelling of the Trotters’ misadventures could be completed. 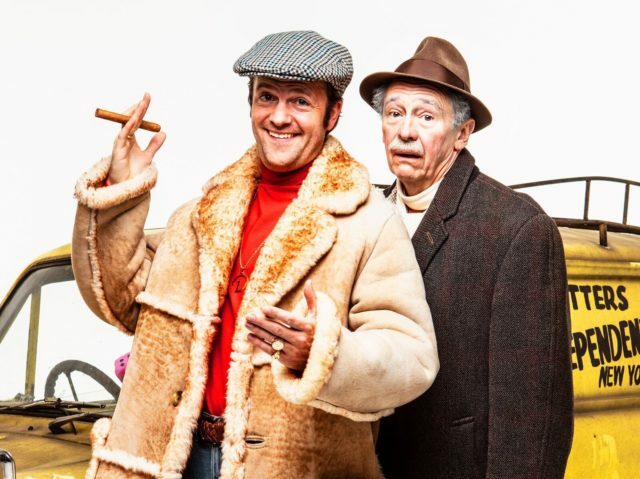 His son Jim has partnered with comedy writer Paul Whitehouse to pen Only Fools And Horses The Musical and fulfil his father’s wishes for a stage production. Whitehouse told the Press Association the feel-good stage show aims to protect the legacy of the BBC series, which first aired in 1981. He said: “It was John Sullivan’s project, and it was what he was writing when he very tragically died. “I spoke with Chas Hodges about doing some stuff with this. Sadly Chas is gone now as well. “So it is a delicate legacy. Especially for Jim. I think he set out to finish what his father had started. “Only Fools wasn’t just a comedy show, it became part of people’s lives. Whitehouse said the show now has the added responsibility of honouring Hodges’ work, after the Chas & Dave musician died of pneumonia aged 74. The Fast Show writer said: “Chas and I both got on, we grew up in the same area. We both support Spurs. We went fishing in the same spots. We really got close. Jim Sullivan said: “Writing the musical was a big challenge. The world of Only Fools is so rich with characters and history; it spanned over two decades and included births, deaths and marriages.